In Diner Dash, the player takes on the role of Flo, a waitress entrepreneur who tries desperately to keep her fussy customers satisfied. By clicking on tables and wait stations, you maneuver Flo to take orders, deliver food, and clean up tables. This "spinning plates" gameplay quickly becomes a difficult challenge in managing a dynamic, complex system. 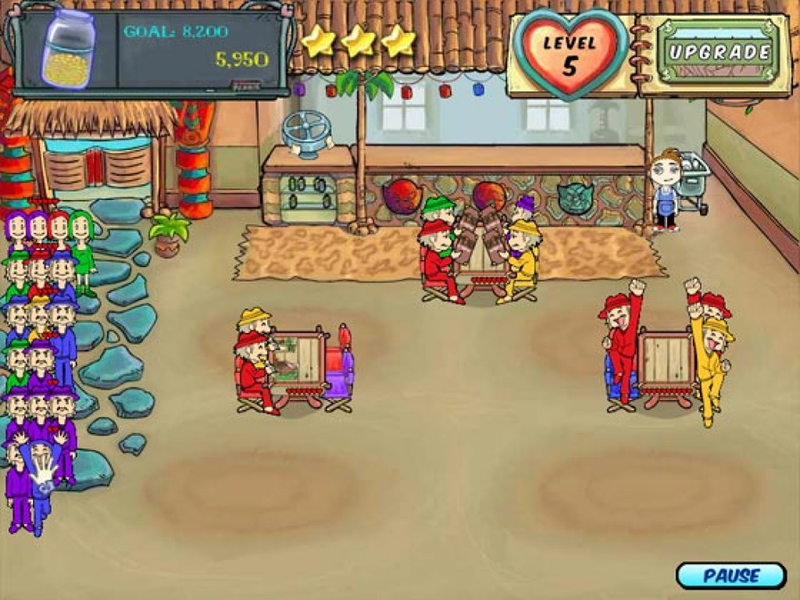 Diner Dash was Gamelab's biggest hit and was played by millions of players. The publisher PlayFirst followed it up with many sequels for a variety of platforms. I was involved creatively with the game from conception, but Nick Fortugno and Peter Lee led the game design. 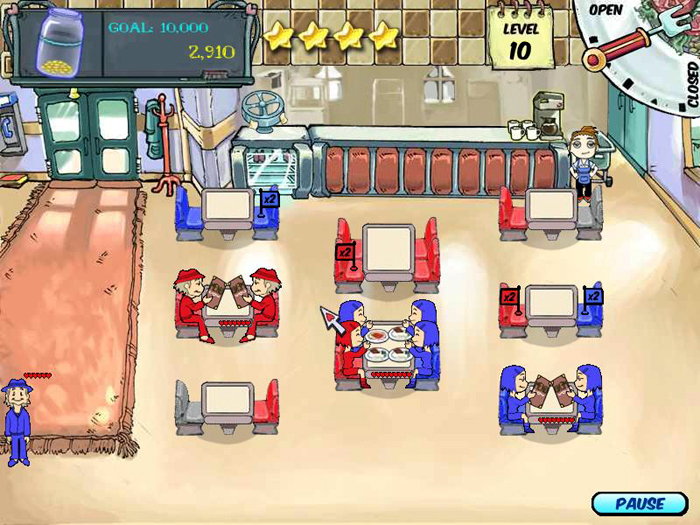 It's not an exaggeration to say that Diner Dash helped invent today's so-called "casual games."